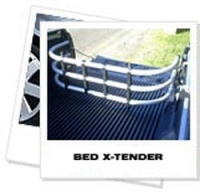 Imported direct from the USA, the XTEND A BED is the greatest thing ever to give you more secure space in your ute bed. Great when transporting bikes etc or even just for the shopping. Keeps everything in place! Easily removable, it can be used forward to contain large items like dirt bikes - or backwards to keep small items from rolling all around the bed. 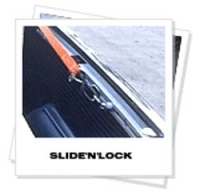 SLIDE N LOCK, again imported from the USA; is a set of 2 magic rails that hold about 200kg per tie down ring. Tie down rings are movable and will lock into the rail - each set of 2 rails comes with 4 tie down rings - you can also buy extra rings if you need to!